£114.12 down and an eternal wait of 6 months. It’s festival submission time again! Hooray! We have just submitted our latest film ‘The Field’ to three film festivals, one in the UK and two in the States. 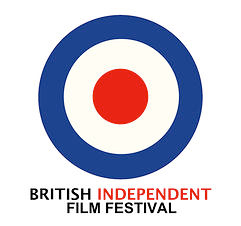 In the UK we have submitted to the British Independent Film Festival which takes place in Leicester Square in London. The great thing about this festival, and what attracted us to it, is that there are a number of awards presented – not just best film or best director(s) as is usually the case. This festival also has best actor and actress and best young actor and actress. As we have had some pretty amazing performances from both our young and… ahem… ‘older’ actors we thought we’d give it a shot, giving the people who gave us their time for free to work with us a chance for some glory! It also focuses on British, independent talent. There is huge press coverage and, being in the UK, we could easily attend! In the US we submitted to The San Francisco International Film Festival and the Seattle International Film Festival. The winner of best short film at the San Francisco Festival get’s considered for an Academy Award nomination – far reaching I know, but it would be great to say we were even in this category would be amazing! The Seattle Festival considers our film a feature and has a number of great awards and even cash prizes. Both publicize the hell out of the films involved and both gain a lot of interest from industry specialists and distributors. Our man Ben Wade is in America too, so potentially could get his arse there to represent us! Of course we are not guaranteed to get into any of these festivals. We could get a big fat rejection and be out of pocket with nothing to show from it. And these are only the first three festivals we’ve gone for – there are a lot more we’ll be submitting to in the next few months so potentially our pockets could be not only empty, but end up sucking us into a black abyss of no return. On the other hand our film could do brilliantly in one or more festivals and pave the way for that feature we’re planning! Only time will tell. 6 months in fact, as we don’t know if we’ll even get in to the festivals until April next year. So watching this space is a must!